Past Events — Tea with Queen and J. 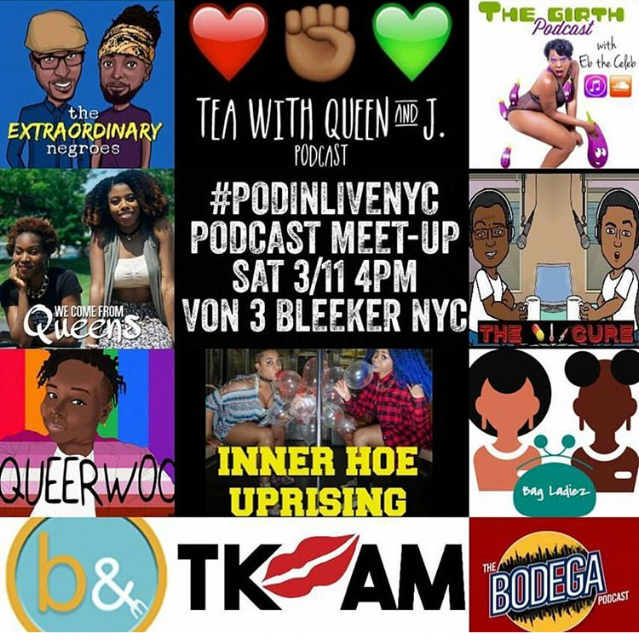 We gathered our favorite independent Black podcasts for #PodinLiveNYC: Black Podcast Meet-up! Celebrating independent Black voices in an age of alt facts. Check out pictures from this amazing day. Recording in the studio is great, but sometimes we take it to the streets and record live with an audience! The immediate feedback of our listeners is lit. Check out photos from past live shows, and book us for an event!